Spacious rooms with wooden flooring are the prime selling point of Hotel Surya Garh. The rooms have been provided with large windows that are draped with thick curtains. The rooms have been decorated in a minimalistic manner and the color combination used in the rooms is monochromatic. The rooms are well-furnished and the wise use of artificial lights throughout the rooms make the space well-lit. 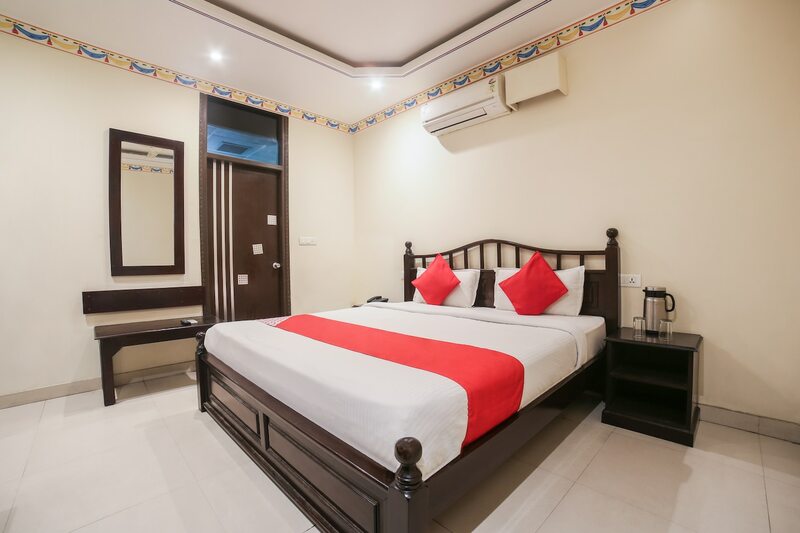 The additional features provided by the hotel are free wifi, a common kitchen area, a constant power backup supply, parking provisions, laundry provisions, card payment in all forms, and CCTV cameras. The in-house facilities include a banquet hall which can be used by the guests for special occasions.